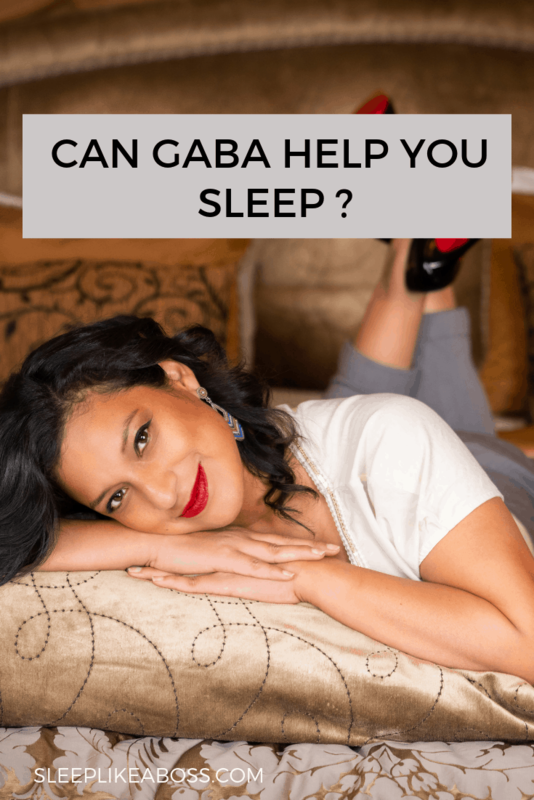 Most of you will have heard about GABA as a supplement that will help you sleep. I'm going to dive deep into how our brain works and what the different transmitters do. We are going to geek out on GABA! Straight from the bat, yes GABA is a chemical in our brain that can help sleep. However, as always, the story is a little bit more complex and I'm going to explain to you why. I will explain why my approach is just a little bit different than saying, ‘okay, here's the one fix solution’. 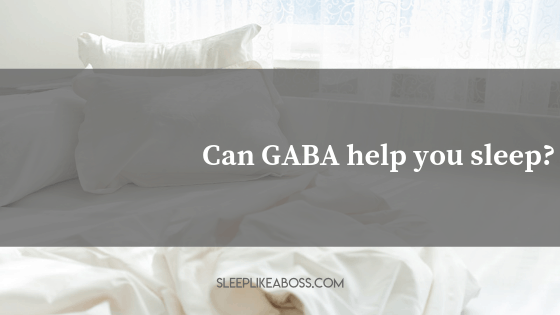 I have quite a few clients, who've come to me and had tried GABA in the past. For some it helped, for other’s it didn’t. Now, I want to enlighten you on how things work. If GABA arrives at the right amount, to the right part of the brain, then it can help sleep. However, if it doesn't, it can actually promote wakefulness and inhibit you from sleeping and that's quite a big deal. The same transmitters can have different effects on states, depending on where they are active in your brain and most drugs for sleep enhancement do feature GABA. They enhance transmission mainly on GABA A receptors and also on GABA B receptors, which means that it's easier to be received and to act on the particular receptors. If GABA is mainly reacting in the pontine reticular formation of the brain, which is located in the middle on the lower end of the brain, (I will refer to this as PRF in the future) it is not necessarily being transmitted straight to receptors A and B, but it's more active in the PRF region of the brain and it actually increases wakefulness and inhibits your sleep. We have seen this through animal studies, where GABA was literally inserted into the brain. (Our brain doesn't have pain receptors, which might help you come to terms with this experiment). They inserted it into specific regions of the brain to see what it does and they've see this difference. Here's the problem with that: For example, if you have issues with GABA being transported to your brain, which means that there are some blocks in your GABA being transported, you don't get enough and if it's not flushed through so that you get a nice balanced feed of GABA. It will basically mean that the sleep in that region is inhibited, because there's not enough to be received. You can also remember that if you block GABA synthesis, it is making levels go up and you decrease sleep in that region. 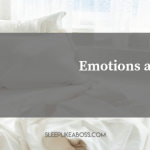 There are two sides to this: You can have transmission issues or you can have receptive issues, which then increases sleep as well and it also decreases wakefulness. In a nutshell, if GABA is low in the PRF region, you will have better sleep and you will have more REM sleep. However, if it is high in that region, you would have issues with sleep and specifically in REM sleep. Why is this important? Because, if you take a sleeping pill or a GABA supplement and it has this reaction, (remember, if taken orally, we cannot control where it goes), it might backfire on you. We don't have the syringe that we can put into our brain! It's this balance and uncertainty of having this one chemical that has different reactions, I want you to be aware of. If it arrives to the wrong region of the brain, it will keep you awake and it's going to manipulate your REM sleep. Another thing that it does as well is, it messes with a chemical called acetylcholine. When GABA A is blocked, acetylcholine rises and then your REM sleep is also impacted. GABA can inhibit REM and acetylcholine, which increases REM. So, if the interaction is not balanced, you might be sleeping but the REM part of your sleep is not as it should be and that's what happens a lot of the time when we use sleeping pills. 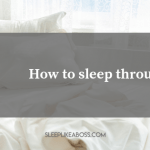 You will actually feel like you sleep a lot more, but you won't have as much REM sleep and it's not going to leave you as refreshed as it should. That is especially the case with benzodiazepines, which increase total sleep, but inhibit REM sleep very often due to one of those reasons. The chemicals mainly act in a region of the brain, where they very often have an adverse effect. I think that's really important to know, especially because most of the time when we use GABA with kids, it will backfire. For example, they’ve really seen it with anesthetics. When GABA is used with kids, they started to become super hyper; it had exactly the opposite effect of what they had hoped for. I know the chemistry of this is a little bit complex! However, what you can remember is, if the transmission is great and the receptors GABA A and B are well catered to, you are going the sleep better. If they are blocked or if it's received at too high levels in the PRF region, then it's going to inhibit your sleep and it's going to keep you awake. It also interferes with acetylcholine, so the REM sleep state is highly affected as well. My message to you is that if that balance is not working right away and you are not sleeping, it's not because you don't have enough GABA in your system, but rather that there is a reason why it's not being received enough. If there are blocking issues or receptor issues, then there is a reason for that. The solution is never that you need more sleeping pills in your system. There is a cause and there is a reason why the amount of the chemicals might not be right. Why the absorption is not right. Why the balance is not right and all of those solutions DO NOT lie in a single pill, but they lie in looking at ALL OF YOUR BODY and looking at all of the different factors that are influencing your neurochemistry. I hope that this has given you a little bit of an insight as to what my values are when I work with my clients. Most of my clients don't want to rely on one pill and they know that the body is complex. And please, keep in mind, it's not just GABA. Every medication that you take has a side effect on sleep.